Would you like to get involved with the Operation Santa Clothes project? Our biggest need every year is the funds needed to clothe the children. You can help by making a tax deductible cash donation online safely here. We use PayPal (TM) to handle our automated purchase program. Just fill in the form below and click the “Donate” button. You will be taken to a secure PayPal page where you can enter your billing information and there'll be a link where you can leave a comment or other info about your donation if you wish. If you already have a PayPal account number, you can use it. If you don’t have a PayPal account, you can still donate there with your credit card or checking account. 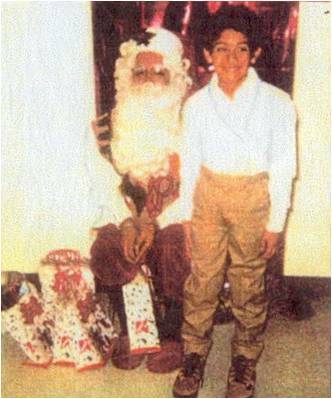 What Is Operation Santa Clothes? Operation Santa Clothes,is a 501(c)(3) that was founded in 1994 by the Covina Sunrise Rotary Club to provide clothing and shoes for needy children at the local elementary schools. Operation Santa Clothes began with members of the Covina Sunrise Rotary Club taking 73 needy children from one school in Covina to Kmart to buy new clothes. The next year 282 children from nine different schools were part of the program. In 1997 the program proved to be so successful that it was expanded to include almost 2,000 children. We work with 32 elementary schools from the Azusa, Charter Oak, Covina and Glendora school districts. We have clothed 34,129 children! Operation Santa Clothes works with teachers, administrators, service clubs, civic groups, churches, businesses, law enforcement and the community at large to provide a better environment for the children of Covina, West Covina, Glendora, Irwindale and Azusa. 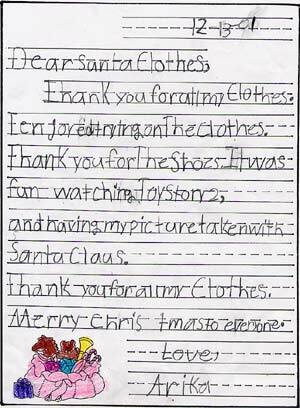 Unlike many other charities, 100% of all donations go directly to Operation Santa Clothes - there are no paid employees. 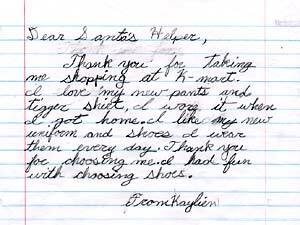 Due to the generosity of Kmart, each sixty-five dollars raised provides: one pair of tennis shoes, three pair of socks and two complete clothing outfits, including pants, shirts, skirts, dresses or uniforms. We want you to know that the volunteers working on Operation Santa Clothes are grateful for every donation received regardless of the amount. 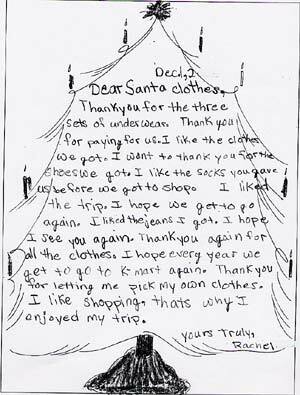 OPERATION SANTA CLOTHES provides more than just clothes. Our mission is to provide for the welfare of disadvantaged children, including self-esteem, necessities of life, character development, social skill development, family assistance, mentoring, recreation and health care.